Many people believe that a headache is just a headache, but headaches actually come in a number of different shapes and sizes. With a plethora of different headaches also comes many different treatments for your unique headache. 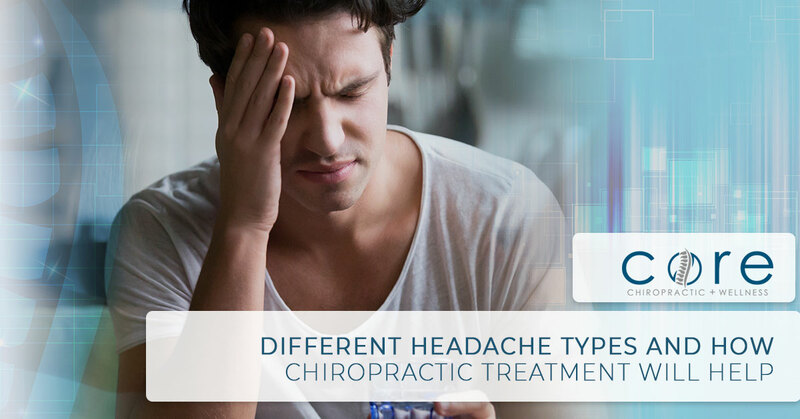 The Bakersfield chiropractic offices have the ability to help you no matter how your headache presents itself! Everyone has experienced a migraine or at least heard of them before. Unfortunately, migraines are quite common, especially amongst women. They are typically described as an intense throbbing sensation in one specific area of the head. People also tend to be highly sensitive to light and sound when experiencing migraines. Tension headaches are also another common type of headache, although maybe not quite as well known. Tension headaches are typically described as a constant, with moderate/severe pain on both sides of the head (temple region). People who experience tension headaches may also report extra sensitivity to bright lights or loud noises. Cluster headaches are arguably the nastiest of the bunch. Cluster headaches consist of severe and intense pain behind one of the eyes. They are named cluster headaches due to the fact that they come in waves. It is not uncommon to have multiple cluster headaches in a single day. How chiropractic treatment can help each type of headache! Both migraines and tension headaches can have similar treatment methods. Both can sometimes be responsive to over-the-counter pain meds. If you are experiencing sensitivity to light and sound, placing yourself in a dark and quiet environment can aid in relief as well. If these end up helping you and it’s never a problem again, then that is fantastic! For those who still experience frequent and severe pain even with the help of over the counter drugs, there are other options. Our chiropractic services in Bakersfield can drastically help to reduce your pain. We have experts with the knowledge and talent to administer effective massage therapy techniques. These techniques are designed to specifically target the causes of your headaches rather than just treat the symptoms. Cluster headaches are a bit more difficult to treat because less is known about the primary causes of cluster headaches. However, they have been shown to be more common amongst men and smokers. The reason cluster headaches can be trickier are also because over-the-counter painkillers are typically not as effective against them due to there quick onset nature. Chiropractic treatment tends to be the most effective method to combat cluster headaches. Chiropractors have massage methods that focus on the upper neck region that have yielded results for victims of cluster headaches. The staff at Core Chiropractic Wellness in Bakersfield are highly trained at treating these three main types of headaches and other less common forms of headaches as well. We will be sure to gather extensive information about your potential habits that can lead to your type of headache and treat it swiftly and accordingly. There is no need to prolong your pain, reach out to our Chiropractic practice in Bakersfield today at (661) 246-3109 or schedule an appointment here!